One of the new Short S.29 Stirling heavy four-engined bombers in February, 1941. The immense landing gears gave trouble and the pilot’s job was hard. Europe: 189 RAF bombers raid Hanover (night February 10-11). 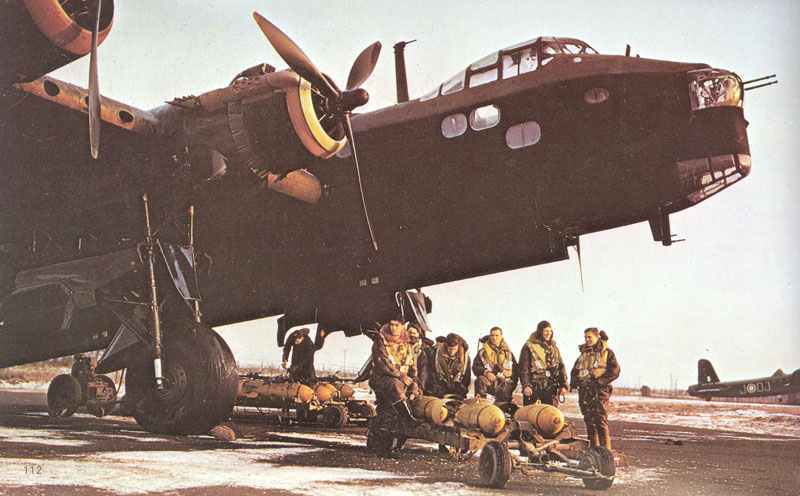 Short Stirling four-engined bombers on first operation: three aircraft of No.7 Squadron attack oil tanks at Rotterdam (night February 10-11). Operation Colossus: British paratroops, dropped from Malta-based Whitleys, destroy Tragino Aqueduct, South Italy. 8 Italian and 2 German merchant ships leave Kismayau (Italian Somaliland) in attempt to reach Diego Suarez (Madagascar): only 2 Italians succeed.